Ha! I’m the one all my friends go to for recommendations. Among my IRL friends I guess I’m the biggest book dragon. But… if you count social media friends then the book I see most often recommended is the Hate You Give. The Maze Runner, has been on my TBR for sooooo long, and I finally got myself a paperback copy. It’s just sitting on my shelf and taunting me now. I read about halfway through Crooked Kingdom, and then had to return it to the library. I could have finished it before it was due, when it came down to it I was scared something might happen to Inej. I know, bad excuse, but it is what it is. Le Mort d’Arthur, I am a HUGE fan of the Arthurian legend and I’ve never read the classic take on it that pretty much set up the modern view of Arthur. Also I’ve never read The Once and Future King. Seriously I need to get on this. A Thousand Perfect Notes, I can’t believe I have yet to read this. I’ve been following @Paperfury for a long time, love her social posts and Goodread reviews. Yet, I haven’t picked up her book and it seems like most of my Goodreads friends have already read it. Who has time to watch TV? I’ve got this HUGE TBR stack staring me down. Seriously we are trying to watch through Avatar the Last Airbender with the 8 year old and we get about 1 episode a week in, if that. Plus I’m a book first, screen adaptation later type of person. But I did start watching Jonathan Strange & Mr Norrell before I realized it was a book, and now of course I can’t keep watching it until I read the book. I guess I’m just weird like that. The Barnes and Noble leather bound classics, they do look very pretty, but I’m not a hardbound book lover. So despite seeing them in oh so many lovely displays on bookstgram I doubt I will ever collect them myself. This is not the same as the feature and follow Friday meme, I’m not ready for another weekly meme on my blog. This is the old fashioned Follow Friday, where I say, “Hey I like these blogs and think you will too!” These are four bloggers who I have bookmarked and check often. Experience the magic of great writing coming together to build breathtaking worlds in our minds’ eyes. Happiness is a book away, find it at FLYLeF. 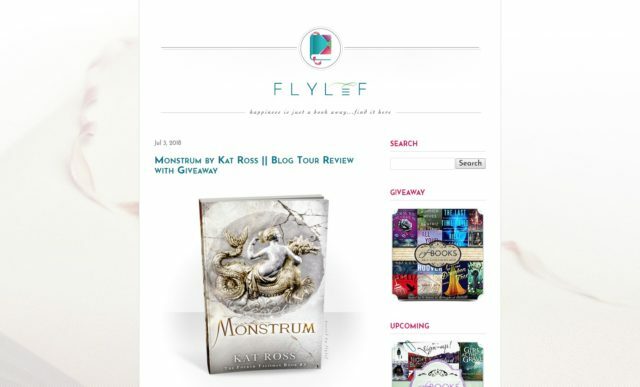 FLYLeF runs a lot of Guveaway Hops, which is how I found the blog, and also seems to be a fan of Kat Ross books (if you read my blog you know I gush about Kat Ross.) 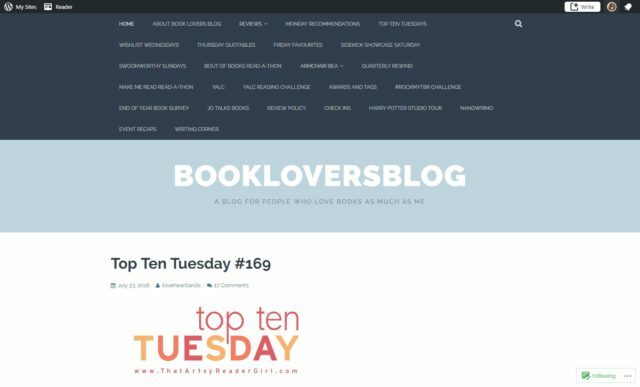 I don’t participate in a lot of Blog Hops, but I enjoy reading the Book Spotlight and seeing which books get chosen in the Winner Spotlight. In fact, that reminds me I better go make sure I have my July entry in. Hi, I’m Jo, a 21 year old female History & Journalism university student and blogger from Cambridge, UK. 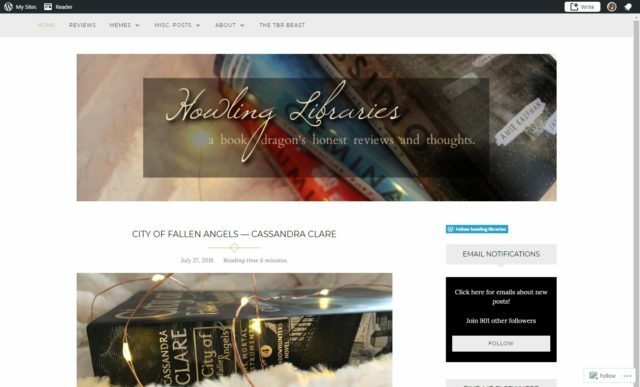 As the title of my blog suggests I love books-that’s my entire reason for creating this blog-you’re supposed to write about what you know and I’ve loved books ever since I was able to read so this seemed like the perfect platform for me to share my opinions about the books I read. I found Jo through the Top Ten Tues meme. I find myself agreeing with her a lot, and our reading preferences seem to over lap a lot. 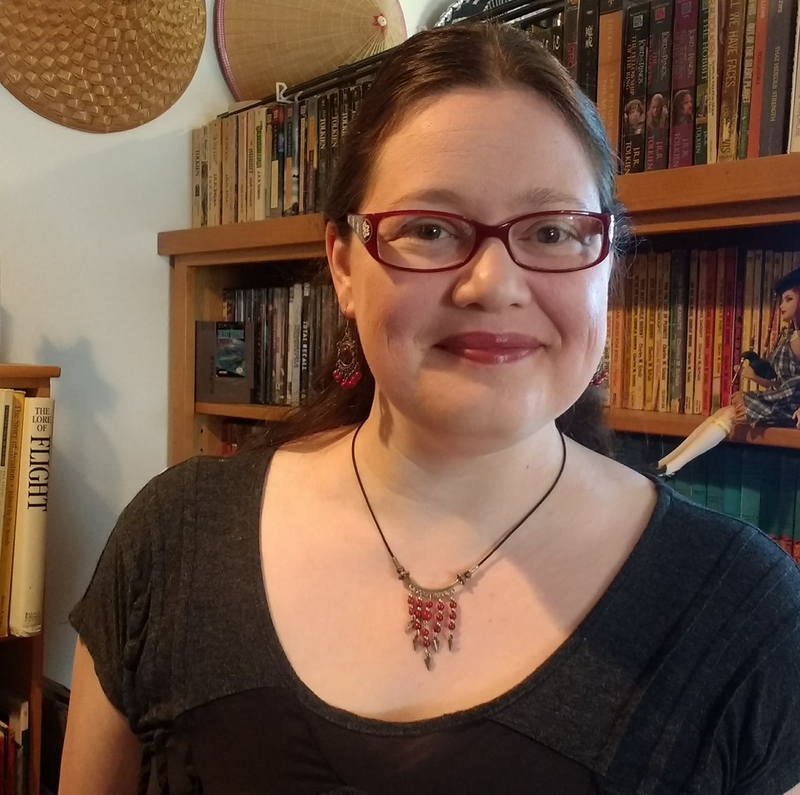 She does quite a lot of book tags, so if you are lost on ideas head her way and take a look at the book tags for lots of great content ideas. She’s also got good stuff on the writing process for the author crowd. My name is Destiny, and I’m a 25-year-old stay-at-home mom who’s been obsessed with reading everything I can get my hands on since I was barely walking. My favorite book genres are fantasy, horror, contemporary, and sci-fi. I primarily read YA/NA and MG books. Another blog I found through Top Ten Tues. 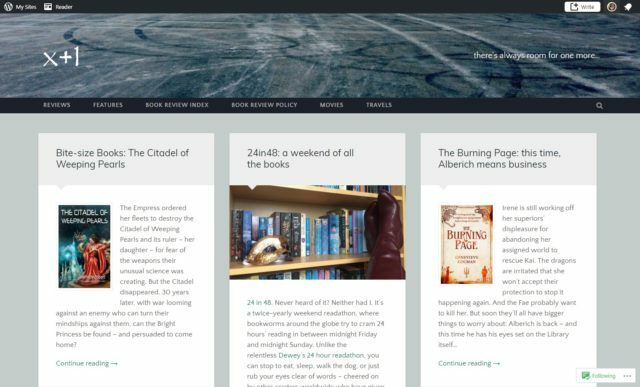 Since I am an adult who enjoys Young Adult and Middle Grade books it’s nice to connect with other blogger who are the same. Agreat thing about the book blogging community it that you don’t ALL have to agree on your favorite reads, or even enjoy the same books. Case in point, she’s a fan of Cassandra Clare, and I’m not. That doesn’t stop me from enjoying her posts though. Welcome to the virtual home of @imyril and @deblurred, where we share reviews, rants, rambles and photos. Thank you for popping by. The door is open and the kettle is on. Make yourself comfortable and poke about. A blogger who actually found me through Top Ten Tues and left a comment on one of my blogs, and since I comment back I discovered Imyril too. A prolific blogger who posts nearly everyday, I can’t keep up with that (either in reading blogs or posting my own) but mad respect for hose like Imyril who do. We still trade Top Ten Tues comments… whenever I actually happen to post. Introduce me to your favorite book blogger. 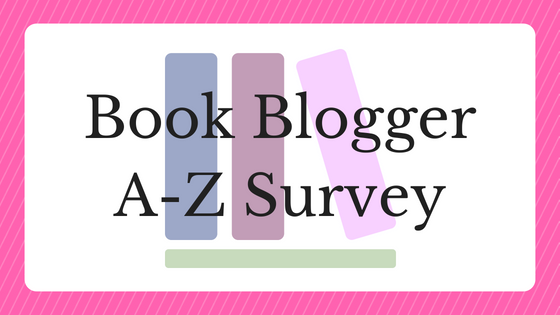 I love discovering new book blogs and getting to know more people from the blogging community. I received these products complimentary from Influenster for testing purpose. Besides getting books to review occasionally I received other free samples so that I can share my option on them too. 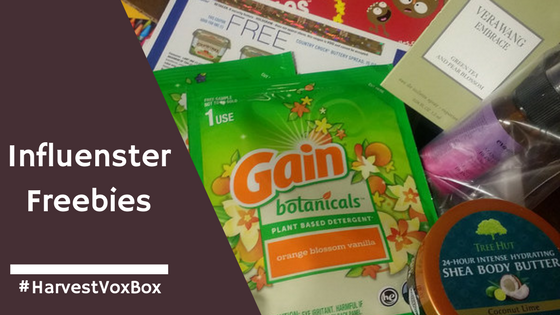 I recently I received a #HarvestVoxBox of samples and coupons from Influenster. Tree Hut Shea Body Butter – Product I already use and love! Gain Botanicals – We normally use unscented laundry soap but these were not bad. Vera Wang Embrace – I don’t wear a lot of perfume these days, but I did enjoy the soft and subtle scent of Embrace. Coupon for free Country Crock – Again we already enjoy this product, so “Score!” on the freebie. Two Coupons for Middles – Which I cannot find at any of our grocery stores and therefore can’t redeem. Eva NYC – I don’t like such heavily scented things in my hair, but it did untangle and make my hair soft like it promised. Thanks for the goodies Influenster! Looking forward to reviewing more Vox Boxes in the future. This is not the same as the feature and follow Friday meme, I don’t think I’m ready for another weekly meme on my blog. 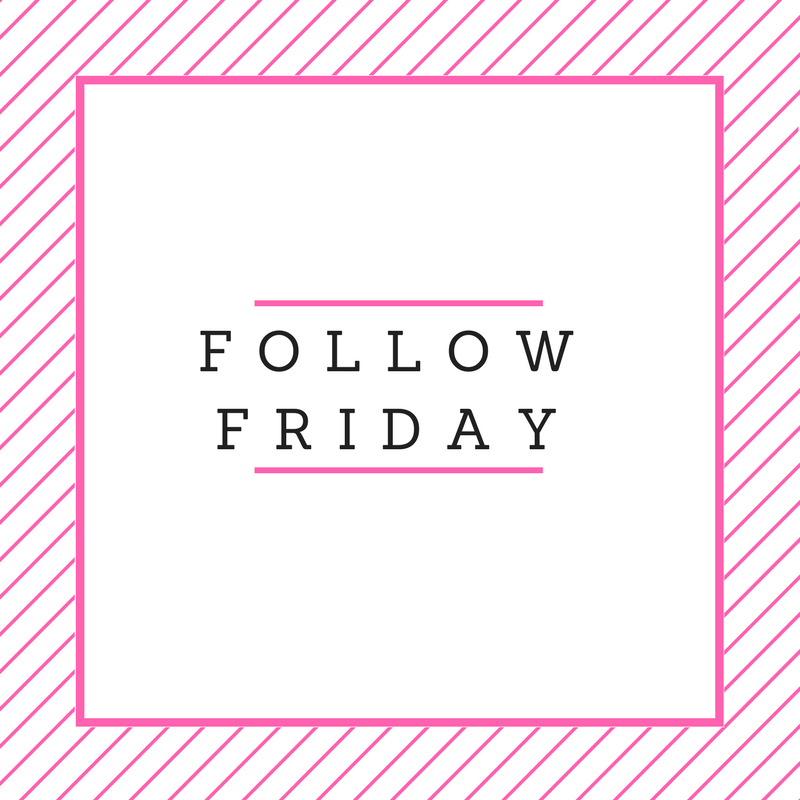 This is the old fashioned Follow Friday, where I say, “Hey I like these blogs and think you will too!” These are four bloggers who I have bookmarked and check every week. I hope you enjoy the list. So that it for this Follow Friday. Do you follow any of these four bloggers? Do you have any Follow Friday suggestions for me?